A 36-year-old man has been airlifted to hospital in a stable condition after his arm was caught between a truck and forklift at a work site in Londonderry this morning. The man was taken clear of the two vehicles and treated initially by NSW Ambulance paramedics. CareFlight’s rapid response rescue helicopter was tasked to Londonderry at 10.00am, landing in a paddock near the incident scene. At the scene, CareFlight’s specialist doctor and critical care paramedic treated the man for multiple arm injuries, intubating the man to reduce his pain and stabilise him. CareFlight and ambulance crews then transferred the man to the helicopter. 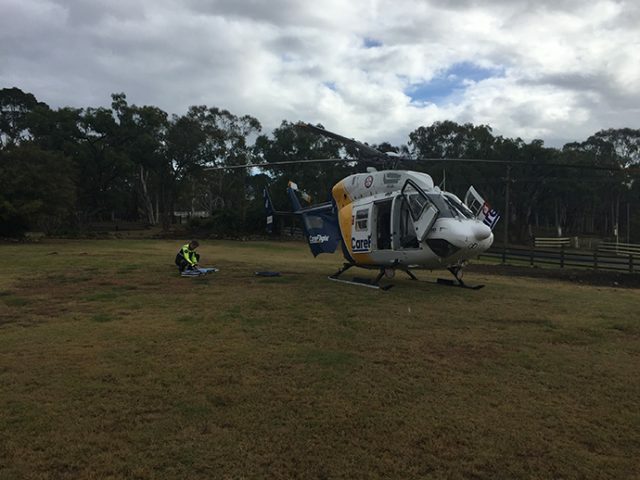 The man was flown to Westmead Hospital.